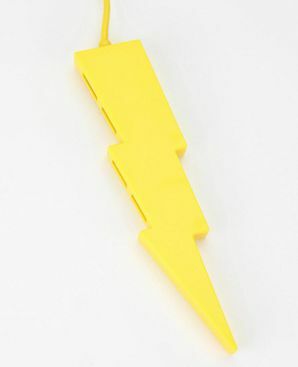 The Discharged lightning bolt is an artifact found littering every path in Godville, for the simple reason that some of its various gods and goddesses seem to enjoy causing pain and befuddlement to their creations. How some gods came to be so cruel, no one knows, but it is said that when a god's punishment misses a hero, the lightning bolt itself actually doesn't end up shattered on the hero's thick skull. So why won't your champion pick it up? That's simple: he or she will be running away from their god's wrath, probably to later be punished for doing so (although heroes don't usually foresee this coming, as they're really not all that bright). This message is brought to you by the Godly Champions Rights Foundation. Stop hurting your hero! Wait, what? ...Oops, not anymore. They just found our heroes and heroines don't actually have any rights. Very well, this is now sponsored by the Monsters of Godville Foundation. Make sure your hero only has one health point when it comes to us! This page was last edited on 3 April 2019, at 14:09.